This movie was actually a very successful stage play in London. It was so popular that they did a world tour and spent about 8 months on Broadway, all to sell out performances. Then the original cast made the movie. Yep, everyone in the movie is from the original stage cast which is unusual. I didn't know what to expect from this show, some compared it to Dead Poets Society but its not. The show is about a group of 8 boys from lower to middle income families in England who are very smart and having passed their A levels (the British standardized exam) are now cramming to get a place in Cambridge University, one of the most prestigeous schools in England and the world. The jist of the story is actually the teachers that they have and their very different teaching methods. The writing is excellent and very witty. The fact that the entire cast has done this play for several years gives them a repoire that enhances the whole show. I throughly enjoyed this show. It was fast paced and funny, and best of all, there was closure at the end. I won't say more than that the ending was very satisfying. I highly recommend this movie and wish that I had seen in on Broadway. I give this show a 9/10. PS. Watch the video journal of their world tour in special features. How was your memorial day weekend? Do anything special? I spent mine watching TV Shows that had yet to be released. That's right. I watched Season 3 of Dr. Who and the entire Season 1 of Torchwood. Being selfish, I debated if I should post the link on my blog, after all if there's too much traffic to the site where all these TV shows exist, then it will get more attention and possible be shut down. But then again I found out about the site from a podcast and honestly its not like my blog attracts tons of visits anyway. So in the interest of sharing here's the site. It contains links to entire seasons of popular TV shoes in the US and UK. I don't feel the least bit guily about visiting this site or even about the site's existance. Contrary to the movie/TV studio's belief, these sites exists to fan the flames of fans of the various shows. And instead of eating into their profits could actually enhance it. Instead they refuse to see new possibilities and methods of revenue, instead clinging to the old methods and resorting to lawsuits. Remember my previous posts on KyleXY? Well at long last Season 2 will premiere on June 11th 2007 on ABC Family and I CAN"T WAIT! For me KyleXY is akin to Heroes. If you're interested, go get the season 1 DVD that just came out on 22nd May. Mine is arriving today and I'm going to spend Memorial weekend watching KyleXY. Some may question why I would bother since I already watched and recorded almost all the episodes last season. Well... the difference is DVD quality. You see ABC Family (and for that matter Scifi Channel) do not have Hi-Def channels on my current cable service. That means I'm watching my favourate shows like KyleXY, Stargate SG1 and etc on analog feeds and trust me when I say that it makes a world of difference to watch them in Hi-Def. It almost makes the show completely different. Anyway, go get the DVD and get ready for Season 2 of KyleXY!!! If you've never heard of Starcraft then you're either not Korean or not a gamer. Starcraft is a Real Time Strategy (RTS) game for the PC and was released in 1998 by Blizzard. 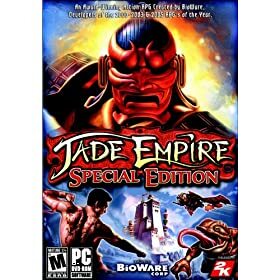 The same guys who created World of Warcraft. If you're a gamer, then you'll already have seen tons and tons of coverage about Starcraft 2 which Blizzard just announced this last weekend in Korea (more specifically South Korea). Why Korea? In a country which boasts among the world's most technologically advanced and digitally-connected countries, Starcraft is huge. 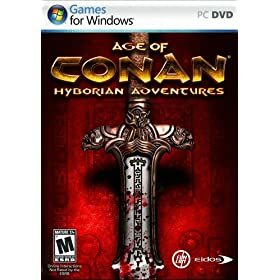 Computer Games (PC) that sell over a million copies are considered a big success. Starcraft (as with almost all Blizzard games) have sold over 9.5 million worldwide. Korea accounts for 3.5 million of these sales. Needless to say that Blizzard has yet another huge hit on their hands and no one has even seen the game yet. How do I know? Let's just say that pre-orders for Starcraft 2 have already gone sky high and this game does not even have a release date yet. People have waited over a decade for the sequel to Starcraft and it seems that their wait is almost over. I'm not a big RTS gamer myself, but I do recall that Starcraft held me spellbound for many an hour. And after watching the teaser trailer below, I'm adding this game to my must buy list. The only question on everyone's mind is ... will it be released in Winter 2007 or sometime in 2008. 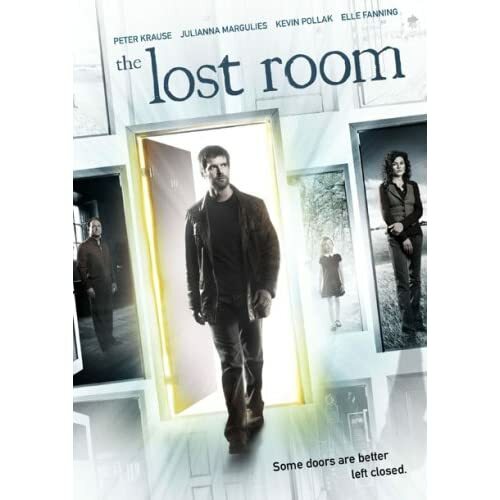 I watched a very good mini series this weekend, The Lost Room. This was originally shown on the SciFi channel in 2006 but I missed it then. But the reviews were very very good so I give it a try and boy was I happy I did. The premise is about over 100 objects that look like every day objects from a key to bus ticket. But they all have wierd "Twilight Zone" abilities. Naturally, people the world over would kill to possess these objects. A detective comes into contact with the "Key" during a murder investigation. The Key allows you to open any door with a lock and takes you to a motel room which is ... not in our time and space. Then from the room you can travel to any door in the world. Interestingly enough, everytime you open the door to the motel room, the room is reset, any items placed there disappear. The detective's daughter get's caught in the room by accident and is lost. In a desperate bid to recover his daughter, the detective is forced into a world of murder, intrigue, betryal, and more objects. If you like Scifi shows, I highly recommend this miniseries. Its headed by Peter Krause of Six Feet Under fame and is very well done, all the actors in the show are excellent. The thing I love most about the showis that the objects can have powers that are completely unrelated to their form. For example, the Pen allows you to send out microwave pulses which can fry a person or short circuit something. The Watch has a pretty mundane ability to perfect hard boil an egg. The Quarter which can literally cause anyone you've ever met to appear for a short time. On top of this, when objects are brought together, they sometimes allow new powers to manifest. This makes for an almost unlimited combination of abilities. If your hankering for a good show and like Scifi, go get The Lost Room. You won't regret it. I give this miniseries a 9/10. And I hope that SciFi channel will create this into a series, there's just sooo much potential. I grew up in Singapore and as any person in a tropical climate knows, we have a wealth of fruits available to us. So when I moved to the US, the fruit situation was pretty deplorable. You have apples, oranges, pears, melons, grapes. That's about it with the occasional peaches and plums. But in the past few years, I've noticed an influx of more exotic fruits like mangos and pomelo. And for the first time since 1994, I got to eat Papaya. They just suddenly showed up in the local grocery stores. All I know is that I glad that more fruits are being made available, Perhaps one day I'll find rambutans or mangosteens or "bua lu ku" or jackfruit or even durian. OK, stop puckering your face. Yes I said tongue stew. 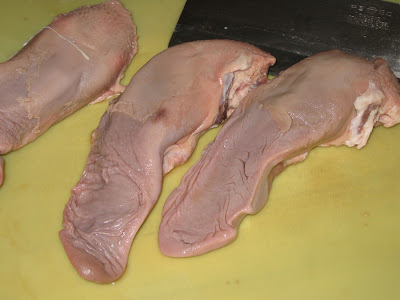 If you've never tried tongue before, its a very smooth and tender meat unlike any other meat out there. It really is good. Further more most grocery stores (in the US) carry it and its really cheap. I got 4 tongues for only 4 bucks. I got this recipe from my mother. 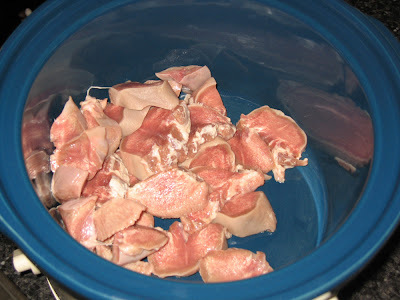 She used to make this dish on Saturdays and I never knew it was tongue. All I remember was that I loved the dish. It's also very simple to make. Seasoning: Salt, Soy Sauce, 2-3 Anise Star. 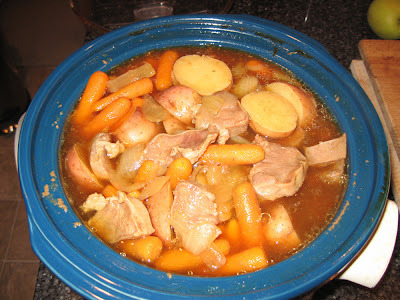 Put everything in a crock pot and cook on low for 8 hours or high for 4 hours. Alternatively, you can also use the stove top and boil it for about 2+ hours. PS. Remember to use Pork Tongue. 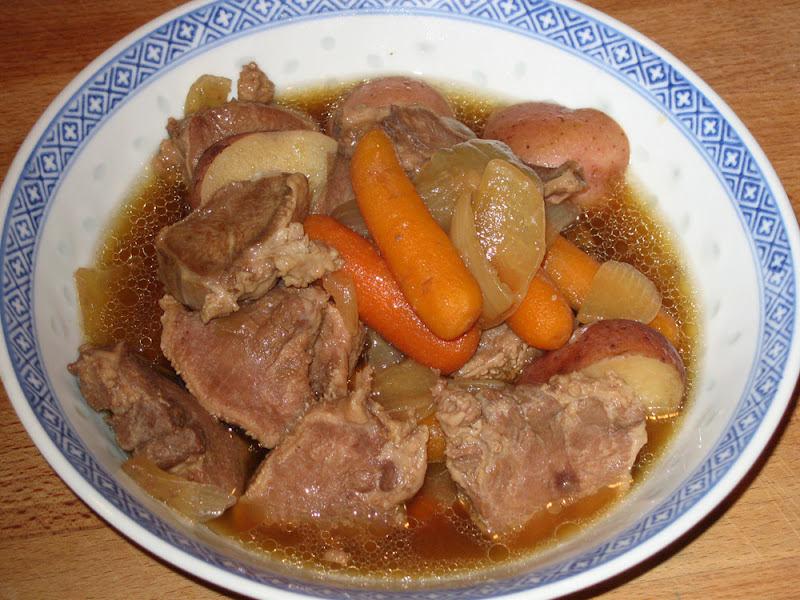 When I first made this dish alone, I used beef tongue and its a lot tougher. Try it out. I'm off to enjoy some tongue stew. Well I called my mom and wished her Happy Mothers Day. Aside from that I borrowed 2 romantic comedies that were released for Mother's Day 2007. And here are my reviews for all you mothers out there. Music and Lyrics is an excellent show. Lately, all of Drew's movies are hits or at the very least very watchable, and Hugh Grant is charming in this one. Its so good in fact that I've up loaded 2 clips from the movie. Both are money shots (which makes the whole show worth while). I'm definitely buying this one for my DVD library. Catch and Release ... is terrible. Unless you're a die hard Jennifer Gardner fan, give this one a miss. As a romantic movie, it fails on so many counts. The groom dies the day before his wedding, and that's the start of the movie. One of the close friends tries to commit suicide. Need I go on? This seems more like a drama than a romance. So if you want romance, skip this one. The journey to the happy ending is too tedious. I just finished a new Korean Serial called Spring Waltz. I like the asian concept of movie serials better than western television's TV seasons. Each serial has a complete story concept from start till end, and this is sometimes better for storytelling. A good example would be Lost which had a great story concept but falls flat because after 3 seasons, we STILL don't know anything about the damned island they are stranded on. But I digress. I enjoyed watching Spring Waltz but I've a beef with the companies that do the subtitling for the movies. The whole show is in korean and if they would only spend more money on decent subtitling, I know that it would attract many more viewers and in turn more money for the producers. How bad was the subtitling? Take a look for yourself. This was an above average romantic Korean Serial. Lots of tears every 15 mins (a korean trademark) I originally got the serial because I like one of the actors. Daniel Henney. He's actually an american who's 1/2 Korean and found success in Korea. This is a very well done little movie. 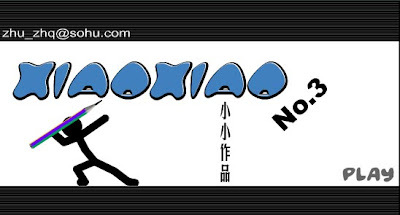 It uses Stickmen to simulate a chinese martial arts action using stickmen. Click here. I'm a gamer, as in a computer gamer. Have been since I was 14 years old when my parents got me my first computer and probably will be for the rest of my life. All gamers are look for their next "fix". Almost like an addict. 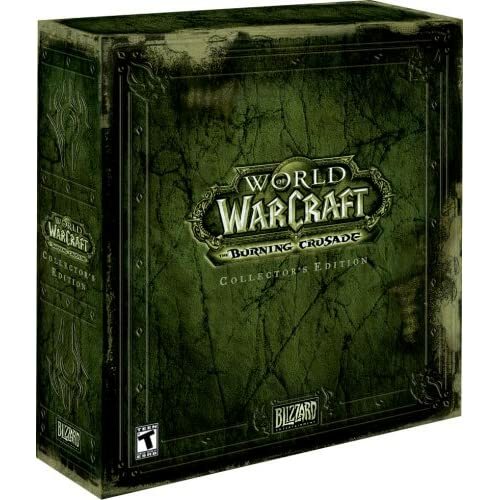 I've been playing World of Warcraft for the past 2+ years and it's very rare to find a game that can catch my interest for longer than 3 months. That's why Online games are catching on like wildfire, they have the unique ability to capture a gamer's interest for long periods, giving us our fix. Sadly, the summer months are notorious for being slow game months and now that I'm over World of Warcraft, I'm finally finishing up some games like Neverwinter Nights 2 and Final Fantasy XII. 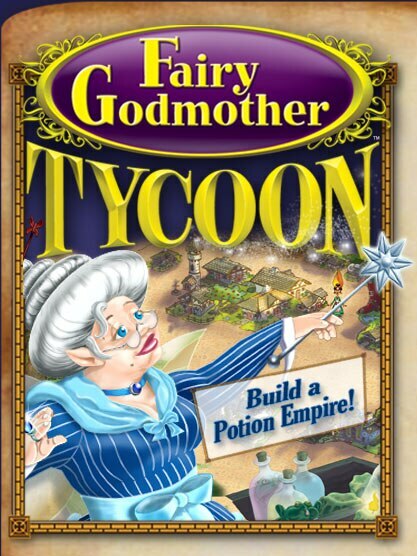 Yesterday I found a cute little game called Fairy Godmother Tycoon. Its only $20 and really fun. I highly recommend getting the demo and trying it out for yourself.